Participants in UAB Arts in Medicine’s Parkinson’s dance classes work on reducing motor and non-motor symptoms through the art of dance. Photo courtesy UAB Arts in Medicine. 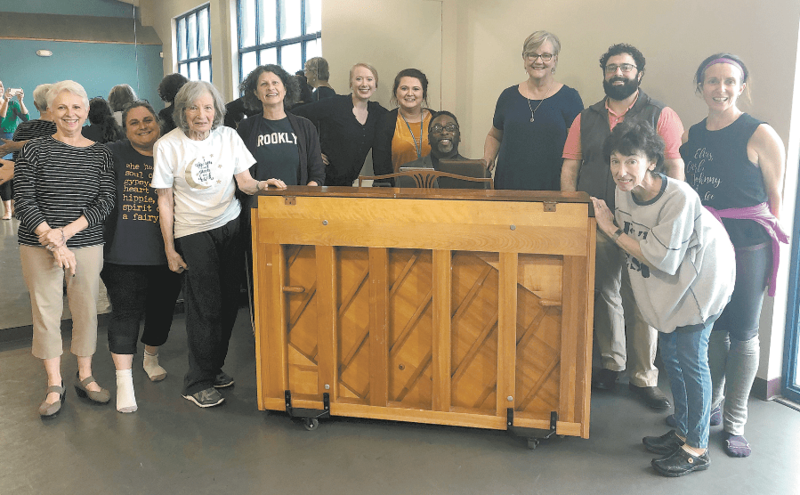 Birmingham-area Parkinson’s disease patients have been dancing their way through a new therapy program, offered by UAB Arts in Medicine. The first semester of AIM’s Parkinson’s Dance class was held from Feb. 6 through March 13 at The Dance Foundation. Though the classes are new to AIM, Southern Danceworks has been hosting classes for Parkinson’s patients for many years. According to the American Parkinson Disease Association, the major motor symptoms of the disease include tremors, rigidity, slow movement, balance issues and walking/gait problems. Because the disease is a movement disorder, the association noted that the non-motor skills symptoms of Parkinson’s are often overlooked. Those include sleep problems, depression, anxiety, fatigue and more. The issue is that many medical treatments focus on the motor symptoms and less on the non-motor issues. Through the classes, patients are able to work on both effects of the chronic and progressive neurological disorder. Participants in the class work on coordination, strength, flexibility, control and confidence. Additionally, Parkinson’s patients in the class have the opportunity to express emotions through dance and interact socially with other patients. This helps ameliorate non-motor symptoms of Parkinson’s, according to the American Dance Therapy Association. As there is no cure for Parkinson’s, patients rely on a variety of treatments to help slow the progression of their symptoms. The second semester will be held on Wednesdays at 11 a.m. from April 3 to May 8. Classes are $10 each or $50 for the semester, including a care partner. For more information, visit alysstephens.org and click on the events tab.